Turnbull relies on same old lies; encourages us to continue cruelty to asylum seekers. Australia’s ‘tough’ border protection policy never ‘stopped the boats’, as Tony Abbott never tired of boasting or brazenly taking credit for. Arrivals did decline steeply, it is true, after 19 July 2013 when Kevin Rudd announced that under his PNG resettlement scheme, asylum seekers arriving in Australia by boat would never be settled in Australia, a trend which has continued to the present day. Yet that decline is nothing to be proud of. If fewer boats were to arrive in Australia, there has been no decline in numbers desperately putting to sea, even if we have become very practised in concealing the truth; putting the suffering and torment of others out of sight and out of mind. The myth of stopping the boats entails a wilful denial of the facts as well as a collective self-deception. The pernicious fiction also involves us in shabby behaviour. The boat narrative entails the conscious abrogation of our moral and legal responsibility as a civilised nation to provide refuge to others in distress. It is a perverse suppression of what makes us human; a denial of our better instincts that is as harmful to ourselves as it is to others. We shun our humanity and thumb our nose at international refugee conventions. We perpetrate the cruel hoax of intercepting boatloads of needy and suffering fellow human beings only to return them to almost certain persecution. Some we send back with limited fuel in a vessel which is barely sea-worthy. Others we decant into orange, fibreglass, purpose-built ‘boomerang lifeboats’, consigning crew and cargo to the mercy of the open sea. Who knows how many ‘turn-backs’ have ended in disaster? What can be certain is that we never better the lives of those we turn away. Nor we do anything but diminish ourselves. We incarcerate men, women and children in poorly-run gulags called detention centres which it suits us to pretend are run by nations we have paid to do our dirty work, nations, in the case of Nauru which struggle with the rule of law or the administration of justice. Sexual favours are traded for hot showers. Women are raped. Iranian Reza Barati, who at 23 should have had his whole adult life ahead of him, was bashed to death by a guard who has not yet been brought to justice. 24 year old Hamid Khazaei, died because medical aid was delayed because our bureaucratic hell-hole decreed that a visa application be completed before he could be taken to hospital in Brisbane. Children become chronically depressed to the point where RCH staff in Melbourne refuse to return them to further torment. It is not a record that anyone in his right mind would want to claim credit for. Yet Abbott and his crew have bragged about stopping boats and saving lives at sea so often that these two lies have entered folklore; become accepted as fact. If Abbott is to be credited for his true contribution it should be for raising the number of boat arrivals. His opposition to the Malaysian arrangement in 2011 led to thousands of new arrivals in the following two years. Yet facts have never stopped boasts. The Coalition, under Turnbull, is pleased to continue with its bragging, repeating the same slogans with better elocution. It is even prepared to repeat the lie that our policies have saved lives. Our heartless yet enthusiastic prejudice, (let’s not dignify it with the word policy) towards men, women and children who are driven by desperate necessity to flee their homes and to put to sea in unsafe vessels has done nothing but cause harm to refugees and to Australia’s reputation for fairness and humanity. It is to our national shame and regret that we turn away from the poor, the needy, the wretched of the earth, who reach out to us for help in their time of crisis. Instead, from those who have already lost everything, we take their freedom, their dignity, their future happiness. Regardless of what Malcolm Turnbull wants to pretend in public, our ‘tough border protection’ has not prevented refugees from drowning or perishing in other dreadful ways. There is no evidence whatsoever for claiming that news of Australia’s ‘tough policies’ are any form of deterrent. Growing numbers of displaced persons are desperately putting to sea in our region to seek refuge. According to the UNHCR, more people boarded boats after former PM Abbott introduced punitive ‘deterrence’ policies, not fewer. At least 54,000 people boarded boats in South East Asia, our region according to the Foreign Minister, in Jan-Nov 2014, an increase of 15% over the same period a year earlier. Around 540 people died trying to get here in 2014. They starved to death. They perished from a lack of drinking water. Some were beaten to a death by crew members and thrown overboard. Many drowned when their unseaworthy vessel sank. Hundreds more died in camps in Thailand. Yet our government is in complete denial. Despite promising respect on seizing power Malcolm Turnbull insults our intelligence less than a month later in parliament by defending coalition immigration policy. It is a despicable act of duplicity from a politician who is more interested in courting support from his right wing ‘boat-stopping’ party bigots than in facing the truth. So much for his promise of being a Prime Minister who respects truth or who respects the nation. Instead, Turnbull contemptuously recycles Tony Abbott’s tired old lies; repeats the same disgraceful untruths rationalising our capture and imprisonment of asylum seekers. The cruel hoax perpetrated on Australian people is that our shameful behaviour is some sort of necessary evil which deters others driven to flee their homeland from attempting to reach safety by sea. The deterrence argument is an outrageous, guilt-assuaging rationalisation of the government’s cruelly, inhumane behaviour towards some of the most desperate and needy people in the world. Not only is it totally spurious, it is condemned by the UNHCR and by other bodies that monitor international human rights abuses. Yet the coalition has made it their mantra for two years. It is a shocking breach of good faith by a PM who promised advocacy and respect. Yesterday, Greens MP Adam Bandt asks when the government will stop holding children and babies in ‘mental illness factories’. Turnbull is unable to make any coherent, sensible reply except to sloganeer. Nor does he give any sense he knows a proper response is needed. 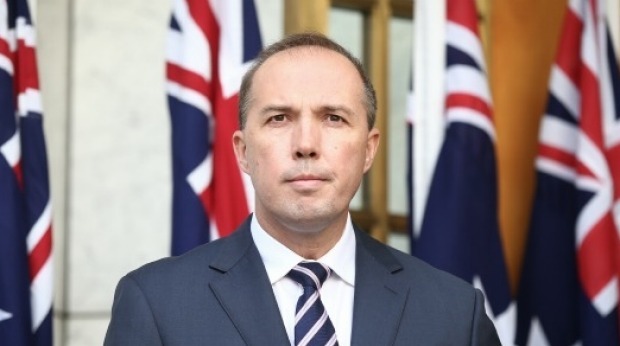 He repeats the shamefully false claim that immigration policies such as the Greens’ lead to people dying at sea in the attempt to reach Australia. Ignored is the logical conclusion of his argument. If we do save people from drowning, it is only to send them to the hell of indefinite detention, a perpetual torment of deprivation and uncertainty, a nightmare which more have escaped through dying than through successful resettlement. Adding insult to injury, the PM chooses words which draw attention to his flagrant lie. He describes his utterly unfounded assertion as ‘the melancholy truth’. ‘That’s not a question of theory,’ Turnbull continues as he proceeds to dig himself in further, pointing to changes tried by Labor. A new sitting of parliament presents a chance for Turnbull to show that he is any more trustworthy than the promise-breaking, prevaricating dishonest junkyard dog who was his predecessor. He is on his second and final chance to prove himself after his failure to last more than a year as Liberal leader in 2009 when having alienated his colleagues by his imperious and superior personal style, he split the party over his support for a carbon reduction scheme. Tellingly, Turnbull fails to rise to the occasion. Disappointed as many hopeful voters may be by the new PM’s failure to rise to our expectations, we should, perhaps not be surprised. A soufflé cannot rise twice, as Keating said of Andrew Peacock’s second attempt to become Liberal leader in 1994 . Far from achieving any form of elevation Turnbull lowers himself by using an old propaganda technique: repeat a lie often enough and people will believe it. It is a base form of deception which history will not forgive. It is an abdication of real leadership at a time when the nation is crying out for a humane and enlightened politics. In offering more of the same denial and dereliction of duty towards others that is our immigration policy, Turnbull does a lot of harm. Rather than deliver much needed, much overdue real reform, Turnbull has betrayed his promise; dashed the hopes of those who supported his coup. Above all he has betrayed a nation who dared to hope for better; a leader who would not encourage us to further turn our backs but one brave and principled enough to help us to change our course; to do our best to reach out and help others in distress. It is the only way we will rediscover our own humanity; reclaim our self-respect. « Never a more exciting time to be an Australian? Exciting for whom, Mr Turnbull?